There are glaring contradictions in the narrative of those who claim to be torch-bearers of liberal ideas. One of the aspects of liberal discourse is to deal with issues without getting personal about it. When it comes to describing women in public discourse, many are found lacking. Sexism prevails unabated. In this respect, the Congress is no different from the BJP. The treatment accorded to a woman is a matter of concern, especially when those in politics — which remains a male bastion — are subjected to daily sexism. 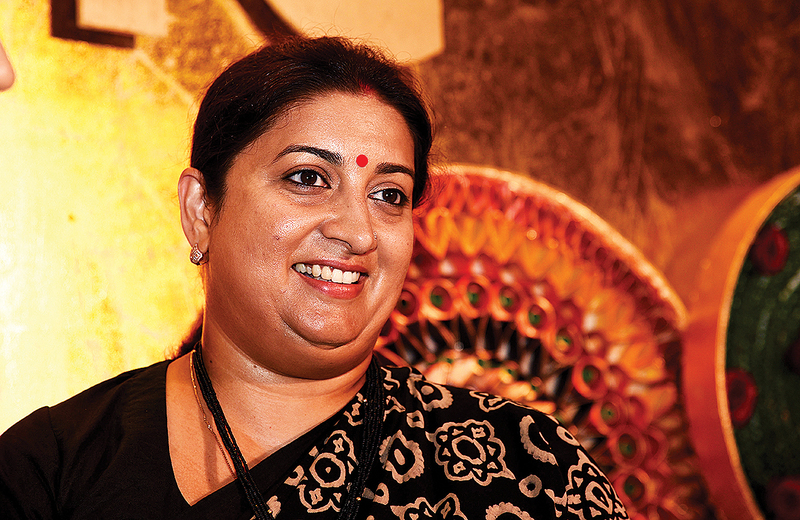 One such figure is Smriti Irani — confrontational, outspoken and articulate, television superstar of yesteryears, and Cabinet Minister in Narendra Modi’s cabinet. We may agree to disagree with her pronouncement on various issues. Many of her statements are anti-women, but nothing justifies ‘sexist’ comments to describe her. Two years ago, when the Kolkata-based national daily of a certain repute, The Telegraph, carried a headline that stretched across the front page, ‘Mother India, at your service and ready for the supreme sacrifice, here comes — what followed was in capital letters with font size that could only be justified in the case of a national calamity — ‘Aunty National’. The issue covered was Irani’s intervention in the Lok Sabha debate on the Rohith Vemula suicide controversy. ‘Aunty national’ is nearly a homonym to anti-national, a term that was liberally used to describe all those who questioned or defied the government of the day, in that sense, some would argue, was an intelligent headline. But it was outrightly sexist, for the word ‘Aunty’ is a colloquial term to describe a woman past her prime, with accumulated fat on her body, sort of dealing with midlife crisis. And that’s not all, this writer was accused for the same and trolled for weeks on social media. They got personal because my story began with an unpalatable comment on Smriti Irani. I wrote this story in 2015 for Outlook magazine as a staffer, describing how badly minister Irani treats her team—a set of bureaucrats. Nothing wrong about it. But at the last moment, changes were made in the copy. One of the senior members of the editorial lead by former editor-in-chief, Krishna Prasad, changed the first paragraph. The story began by saying, ‘How the actress who had faced the biggest of television cameras of all sizes and shapes could get so rattled by a pinhole CCTV eye, we will never know.’ An indecorous comment referring to a controversy where Irani, while shopping in a Fabindia outlet in Goa, had raised an alarm after spotting a CCTV camera pointing towards the changing room. What was the message? Whether or not someone comfortable facing a camera, shouldn’t object to a CCTV camera pointing to a changing room? I don’t shun my responsibility for it. It was a mistake not to clarify that one of the seniormost persons in the editorial department added this sentence laden with sexism and was rather unapologetic about it. This is not the first time. Krishna Prasad on behalf of Outlook, had to tender unconditional apologies in a court to an IAS officer of Telangana cadre, Smita Sabharwal. She was shown in a caricature walking a ramp, politicians jeering at her, one looked like the incumbent chief minister. The caricature was accompanied by a short writeup titled, ‘No boring Babu’ describing her as ‘eye candy at meetings’. This was not all. The bureau chief, in an edit meeting, beseeched the staffers to support the magazine’s position that it wasn’t a sexist remark, and that Krishna Prasad shouldn’t have apologised. Later, he was accused by a fellow colleague during the #MeToo campaign for his overbearing disposition towards female colleagues for which he, too, tendered apologies. This is one of many examples of conveniently linking a successful woman to her boss, in a way that doesn’t pertain to her professional acumen, but her looks, or her character. Like the Congress leader Rashid Alvi, in an event organised by India TV, contextualised his question to Irani by saying “Suna jata hai ki aap Modi-ji ke bare karib hai!”(It’s said that you’re very close to Modi-ji). It’s not surprising then that three women politicians who run their parties with an iron fist, without anointing a successor, are spinsters and are addressed as Didi, Amma and Behenji (sister or mother) — the epithet of the Chief Minister of Bengal Mamata Banerjee and former Chief Ministers of Tamil Nadu and Uttar Pradesh — Jayalalithaa and Mayawati, respectively. It’s perhaps a coincidence that the top women political leaders when they took the reins, were single, whether it was Indira Gandhi or Sonia Gandhi, to name a few. 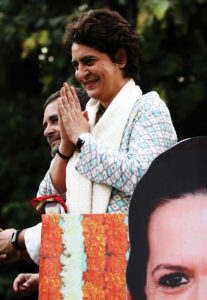 And now when Priyanka Gandhi — happily married to Robert Vadra who is lately being grilled by authorities for his, allegedly ill-gotten wealth — joins politics, BJP leader Kailash Vijayvargiya said that the Congress party, in want of strong leaders in Lok Sabha polls, was fielding a “chocolaty” face. Even the Congress President, Rahul Gandhi, seemed particularly concerned about the gender of the Defence Minister of the country. Taking a jibe at the Prime Minister Narendra Modi, hinting at Nirmala Sitharaman, Rahul Gandhi recently tweeted that Modi got “a woman” to defend him on Rafale deal in Parliament.